Thank you for your interest in Blue i Style! I'd love to chat with you about how we can work together! Established in 2013, Blue i Style is a blog dedicated to all things home. The blog aims to inspire readers to create an organized and pretty, happy home that tells their family’s story, is child-friendly, and doesn’t break the bank. The blog focuses on interior design and DIY, organizing, but also includes modern crafts and seasonal projects, as well as simple but stylish entertaining ideas. Readers’ favorite projects are those that combine style and function, and balance DIY and purchasing to make effective use of time and money. Angela - attorney by education, decorator and creator by passion - is the blue eyes behind Blue i Style. 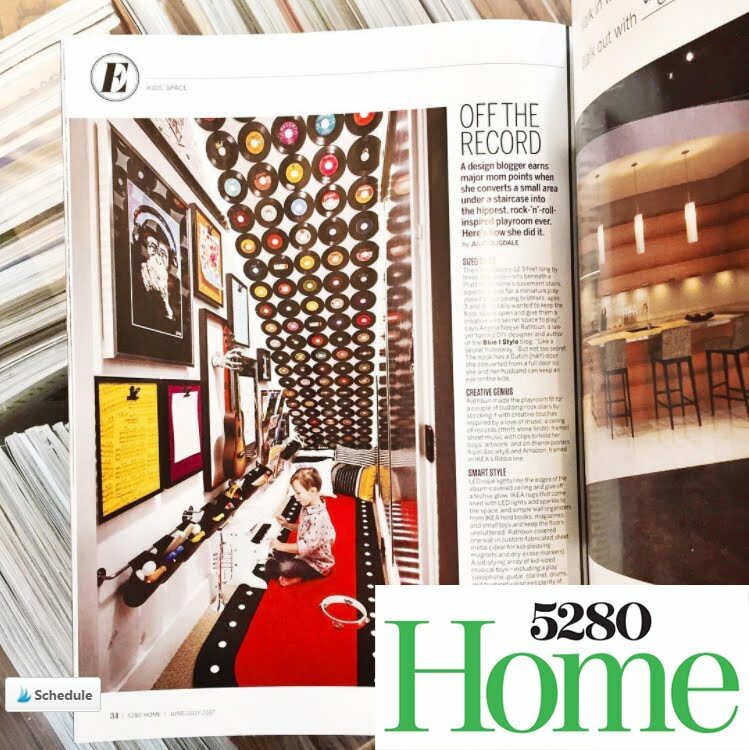 Her style, which she calls Modern Graphic Family, is greatly influenced by her love of modern design, art, and travel, as well as her role as a full-time mom to two young boys. In addition to her law degree, Angela’s education also includes an undergraduate degree in management and minor in marketing, allowing her to understand the needs and goals of her brand partners, and to effectively weave brand messaging into evergreen, creative content that can be promoted long after the post date. Blue i Style publishes an average of 2-3 posts per week, including a popular feature entitled Five Minute Friday focused on quick and easy decor, organizing, and DIYs. In addition to providing readers with high quality blog content, Blue i Style also provides design services to clients, ranging from consultations and e-design to full-scale interior decor services. 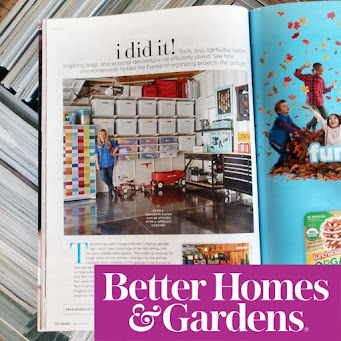 Blue i Style has been featured by in print by Better Homes & Gardens and 5280 Home Magazine, as well as online by of HGTV, Today Show, Good Housekeeping, Country Living, Woman's Day, Parents, Huffington Post, Brit + Co, SheKnows, Bustle, and American Profile, among others. Angela was a guest speaker at the 2015 Denver Home Show, and had a featured Drab to Fab booth at the 2016 Denver Home Show. Blue i Style's projects have also been featured by many high profile websites and blogs, including, Hometalk, Porch, Apartment Therapy, Popsugar, Knock Off Decor, Craft Gawker, Dwelling Gawker, Remodelaholic, and I Heart Organizing, to name just a few. View a more complete and detailed list of features here. If you think Blue i Style is a good fit for your brand or products, I would love to hear from you! Below you'll find descriptions of some of the ways in which we can work together. Please email angela@blueistyle.com to request a media kit or for other inquiries. I love sharing amazing products and brands with my readers! I have experience working with brands to create a wide variety of sponsored posts types, including those that integrate the highlights of a brand/product into a detailed tutorial utilizing the product, as well as seamlessly incorporating in a brand into a broader topic, such as a post providing decorating or organizing tips. All sponsored posts are written in my own voice, and in a way that flows naturally with the normal content readers expect to find at Blue i Style. Sponsored post include all appropriate disclosures, and include “nofollow” links to the sponsors’ website/product page(s), as well as social media shoutouts. If you are interested in collaborating on a sponsored post, please contact me at angela@blueistyle.com. In addition to being a passionate DIYer and writer, I also enjoy engaging directly with audiences through public speaking. 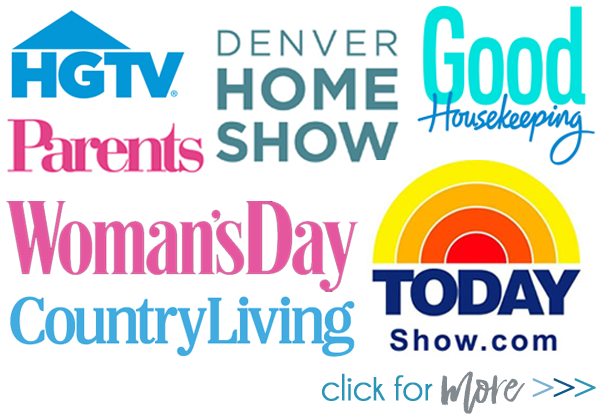 I was an invited guest speaker at the 2015 Denver Home Show, presenting my popular “10 Steps to Get Organized and Stay Organized” to large crowds throughout the weekend long event. I also have experience preparing presentations, on topics such as decorating and stylish organization, which tie in specific brands and product lines. If you are interested in booking me to speak at an upcoming event, please contact me at angela@blueistyle.com. Typically I prefer to provide my readers with tutorial style posts, rather than just product reviews. However, if you have a product that you think Blue i Style readers would love and fits with the topics and style of this blog, please email me ngela@blueistyle.com to tell me all about it. If you decide to send a complementary product for my review, there is no guarantee that it will be reviewed on Blue i Style. Only products that I love and would personally buy will be considered for online review, and all reviews will be accompanied by a full disclosure in the post that the item was complimentary. Giveaways are a popular way of bringing the attention of Blue i Style’s readers to your product and your company. If you are interested in a promotional giveaway, please email angela@blueistyle.com with information on the company you represent and a link to your product. Only giveaways that pertain to my readers’ interests and blend well with Blue i Style's content will be considered. Giveaways are often most successful in conjunction with sponsored posts that highlight the product.